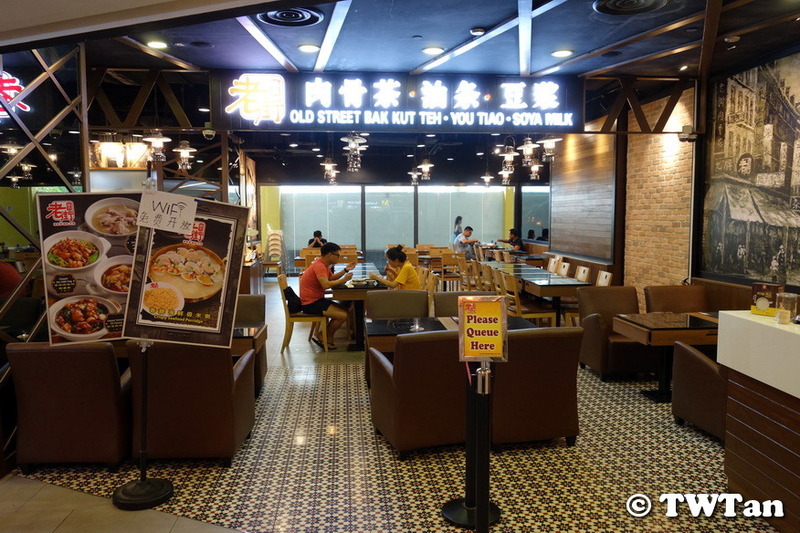 Unlike some other more established Bak Kut Teh shops, Old Street Bak Kut Teh (老街肉骨茶) is fairly new, founded only in 2010. 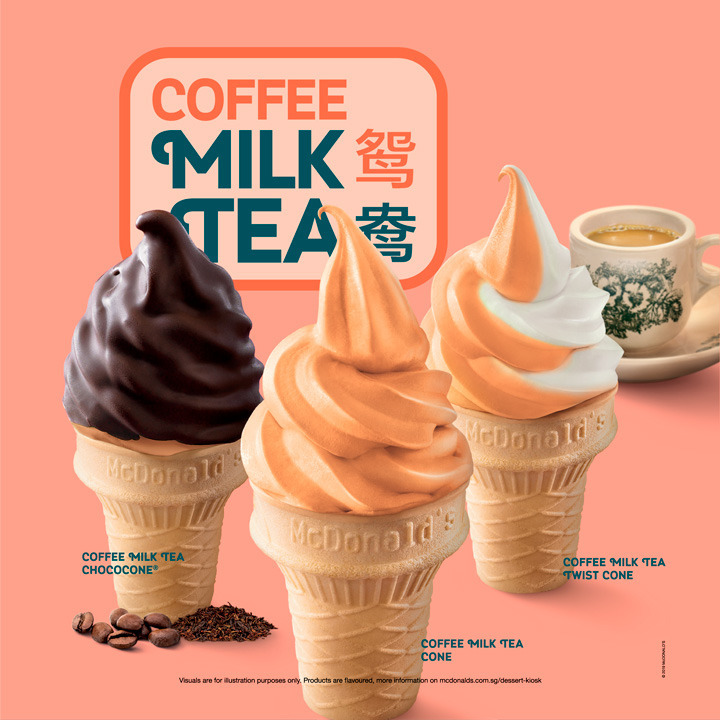 But they successfully redesigned the entire consumer experience of savouring the traditional herbal soup, by being the first to bring Bak Kut Teh into the shopping malls of Singapore and injecting new creations like its signature Dry Bak Kut Teh and unique pairing with soy milk, to appeal to younger consumers. First thing you noticed after being seated is that no one comes to take order from you. Instead you slide out the drawer holding an iPad and pick the dishes that fancy you then hit “Send”. Mum wants her Pig’s Kidney Soup with white rice and You Tiao (Fried Dough Stick). Me I went for Set Menu B which comes with Premium Loin Ribs, You Tiao, Bean Curd and Rice. 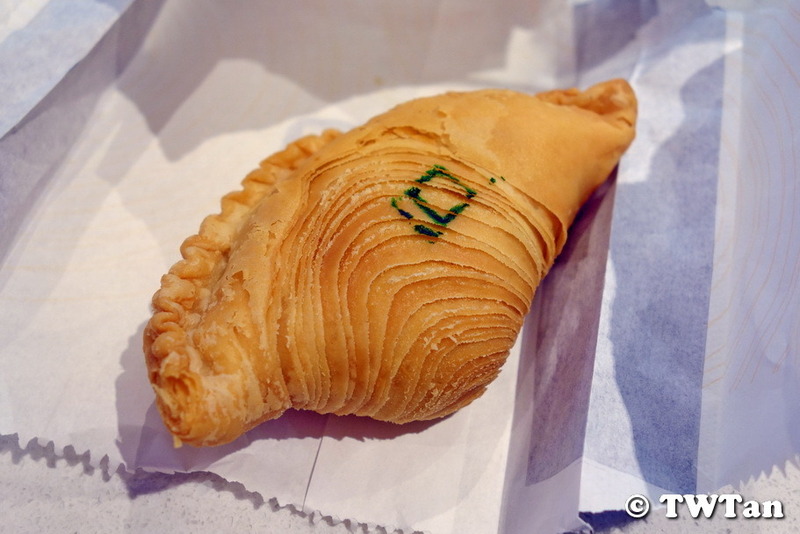 Passed by 1A Crispy Puff in Ang Mo Kio Hub and saw that they were selling Crispy Durian Puff (S$1.80). Had to wait for the staff to fry a new batch as it was sold out. The puff was smallish in size with numerous layers of flaky skin. I expected the durian smell to hit me outright but it wasn’t too pronounced. 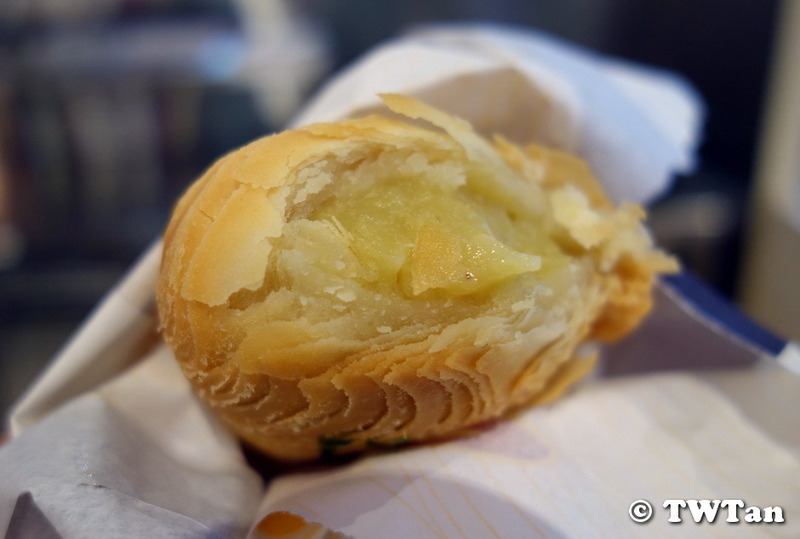 Maybe the heat muted the real durian flavour or it wasn’t pure durian in the filling. Guess we will stick to the good old durian puffs and cake. 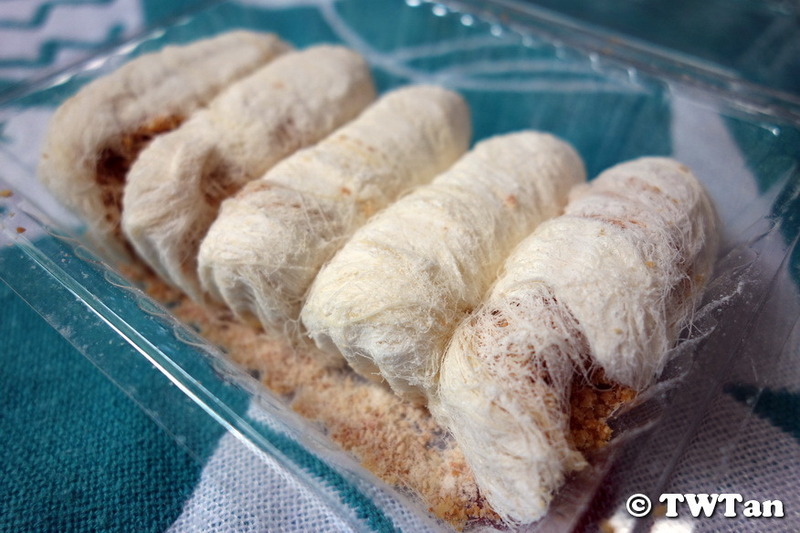 Dragon’s Beard Candy (龙须糖) is a traditional handmade snack of China, dating back to the Han Dynasty. Made from sugar and maltose syrup, it is heated to a certain temperature before allowing to cool completely. Then comes the complicated part of stretching and pulling the sugary mass into fine strands of silk-like “beard” before adding the chopped peanut filling and rolling it up. The candy will not last long as moisture and heat will melt the sugar strands, causing it to stick together and harden. Watch how Dragon’s Beard Candy is made. As I munched on this, my thought briefly went back to the 1980s; outside OG Chinatown, an old man sitting on the steps selling this snack from an old biscuit tin. 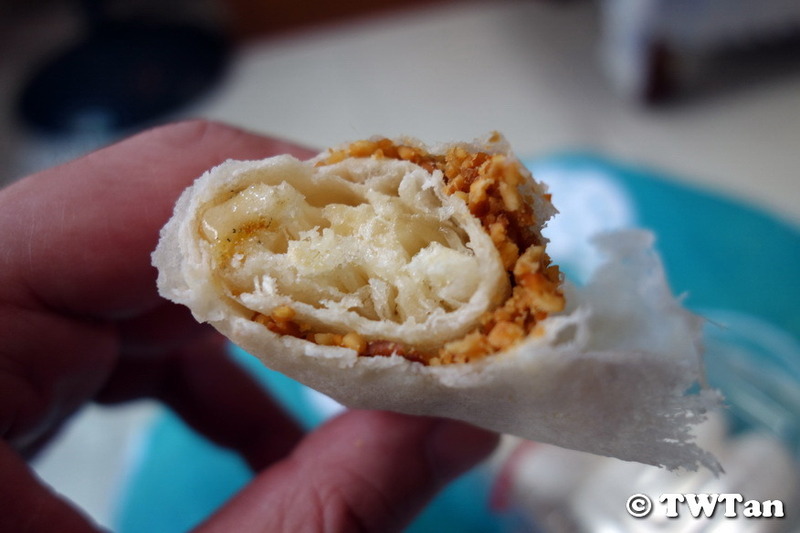 Malt Candy Popiah (糖葱薄饼) is another traditional handmade snack of China, dating back to the Qing Dynasty. Like the Dragon’s Beard Candy, its main ingredient is also the malt candy. Rather than pulled into thin strands, it is aerated through the constant stretching to introduce air holes into the sugar mass. 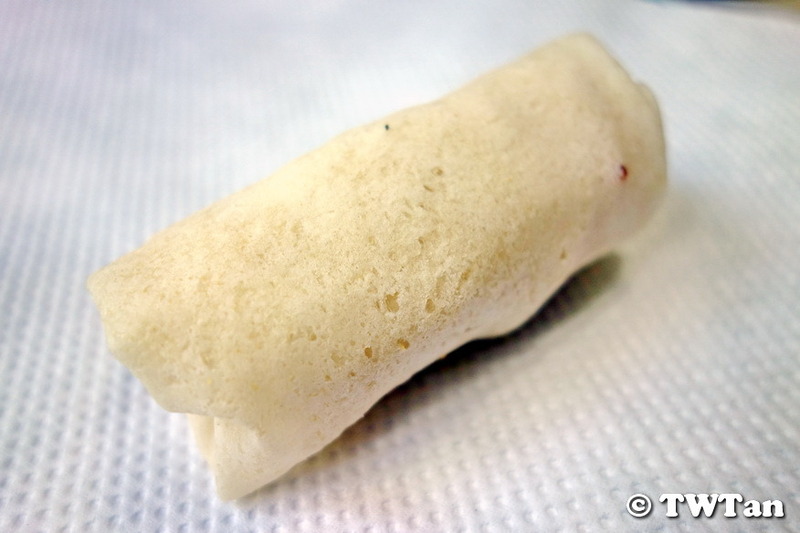 Here in Singapore, I only ever see malt candy and chopped peanut fillings wrapped in popiah skin. You can see the whole processes of making it in this website (Chinese). Brought mum for her medical checkup and we ended up at Ya Kun Kaya Toast (亚坤加椰面包) after lunch because mum got coffee craving. 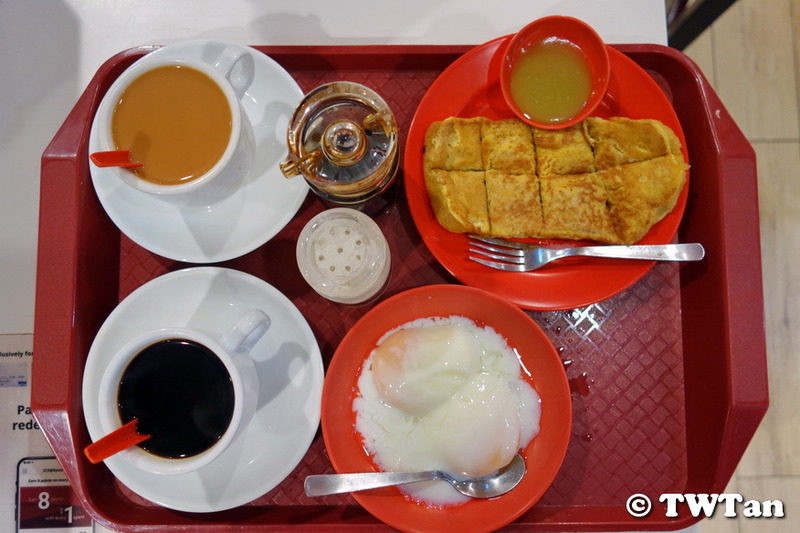 Got her Kopi O which is strong black coffee served with sugar while I went for the value set meal, the Kaya French Toast Set. My set comes with a slice of French Toast & kaya (coconut jam), a hot beverage and two perfectly cooked soft-boiled eggs. 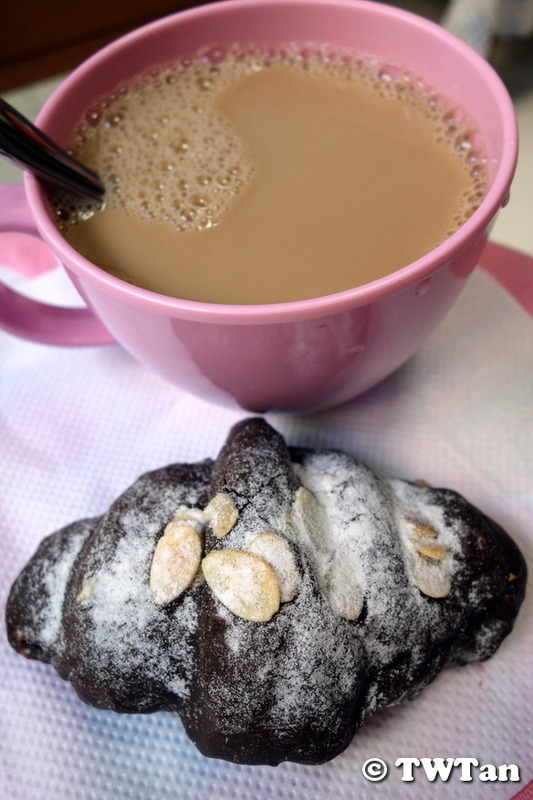 I must admit that I have a fondness for this Chocolate Croissant, even my neighbour love it too. Have tried a few from different bakeries but the one from BreadTalk had that right balance of chocolaty taste and sweetness to stand out from the competitions. Here I paired it with my unsweetened Soya Milk Tea for a hearty breakfast. 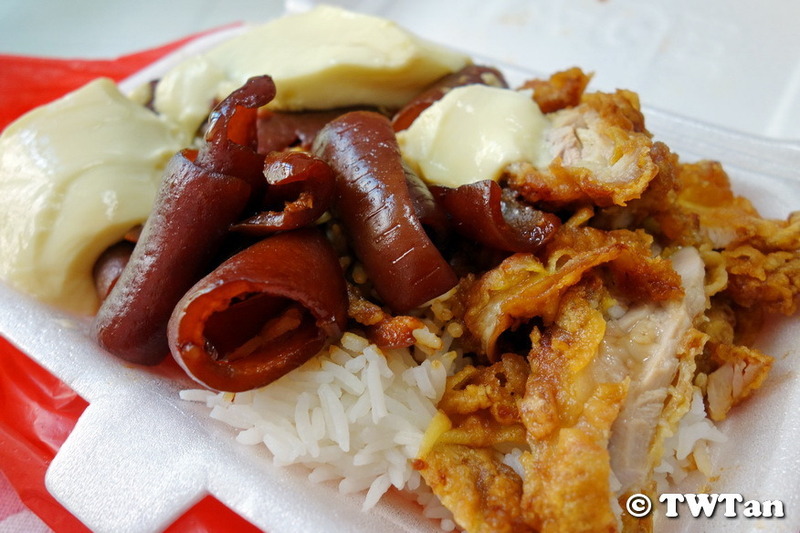 Mum bought me this pack of Takeaway Lunch with chicken cutlet, braised pig’s skin and steamed egg custard. Yum, so satisfying. Last edited by CoralRed; Apr 4th, 19 at 11:36 AM. Thanks, pasted the wrong image link. Dinner was this Signature Dry Mee Sua (招牌干捞面线) which was surprisingly good. 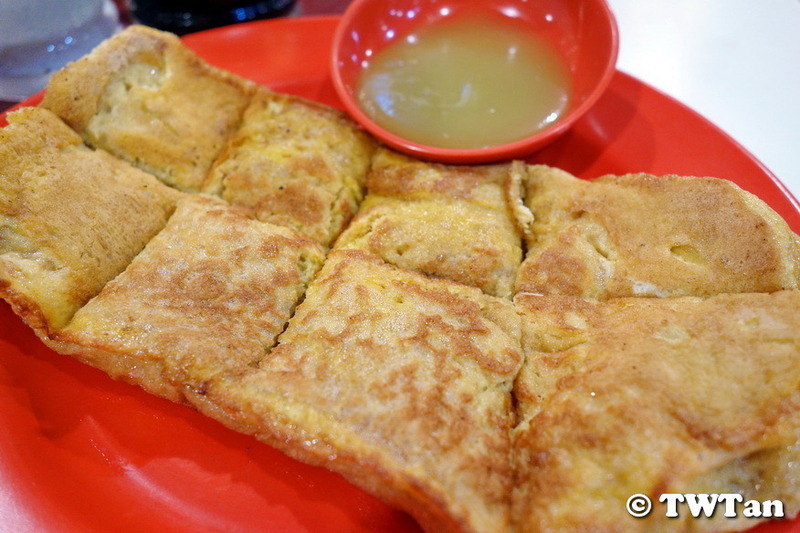 It comes with quite a variety of ingredients like Fuzhou fishball, bean curd roll, mock abalone slices, minced & sliced pork and crispy ikan bilis (Anchovies). 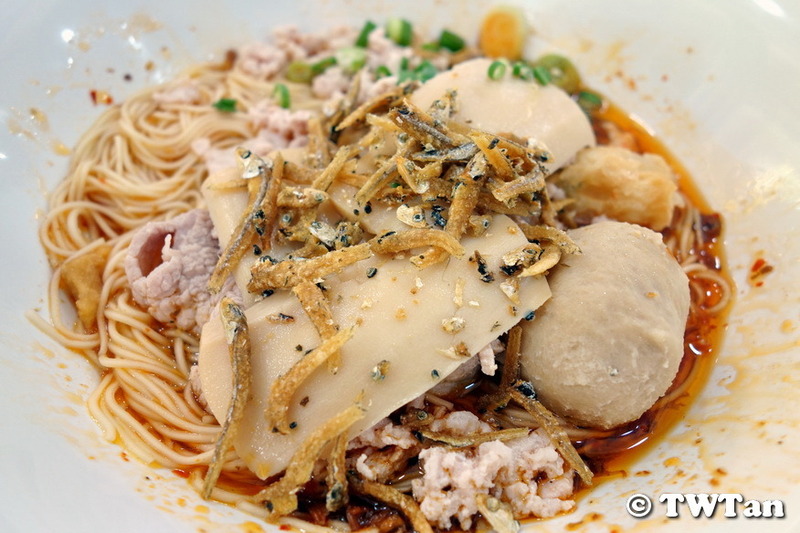 Instead of the soggy mee sua (salted wheat flour noodles) we are more used too, this one is rather springy and offer more bites. Coupled with the tangy vinegar note and spicy chilli, I thoroughly enjoyed it. 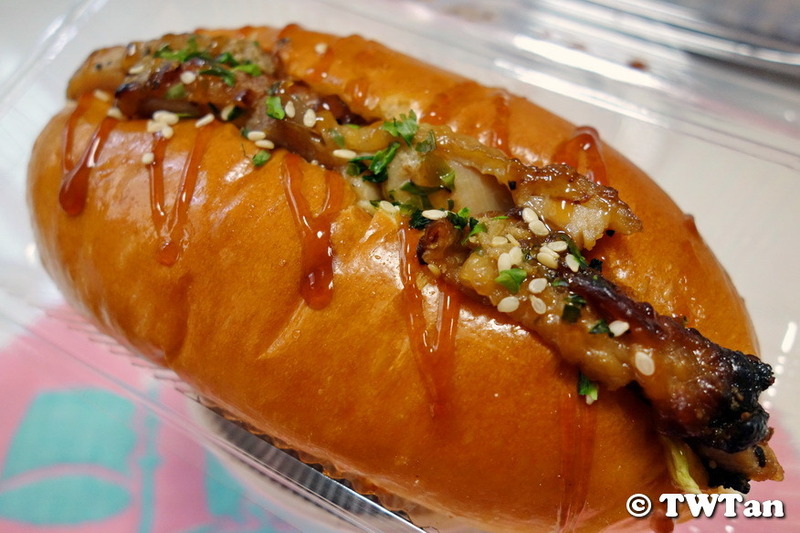 While buying breads for next day breakfast, I came across BreadTalk’s new creation – Teriyaki Chicken Sandwich (S$2.20). 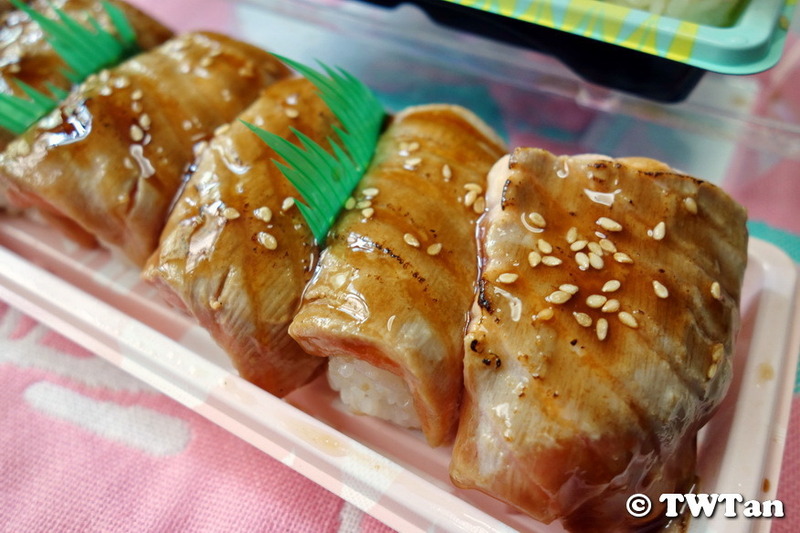 Pieces of charred sweet chicken meat on a soft toasted bun, drizzled with teriyaki sauce and sprinkled with sesame seeds. And oh, there is a layer of coleslaw hiding under those chicken meat which gave it a creamy twist in the taste department. 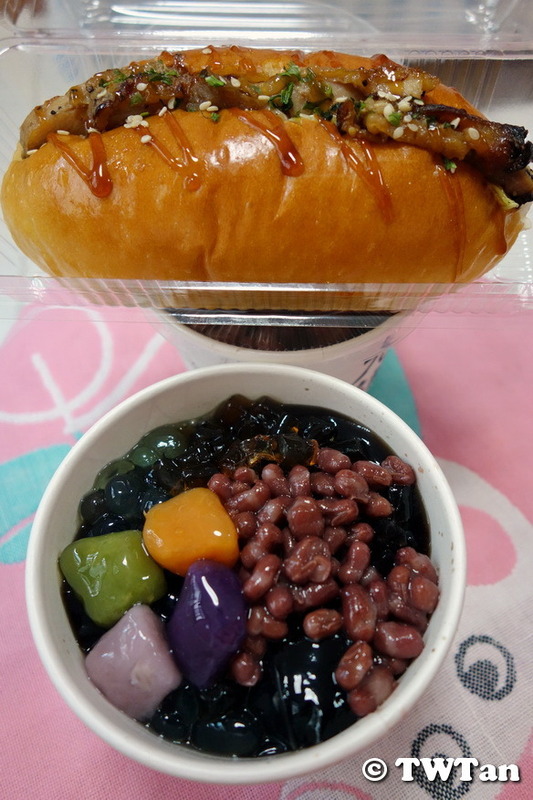 For dessert, Grass Jelly Special (黑糖芦荟仙草冻) with an addition topping of red bean. 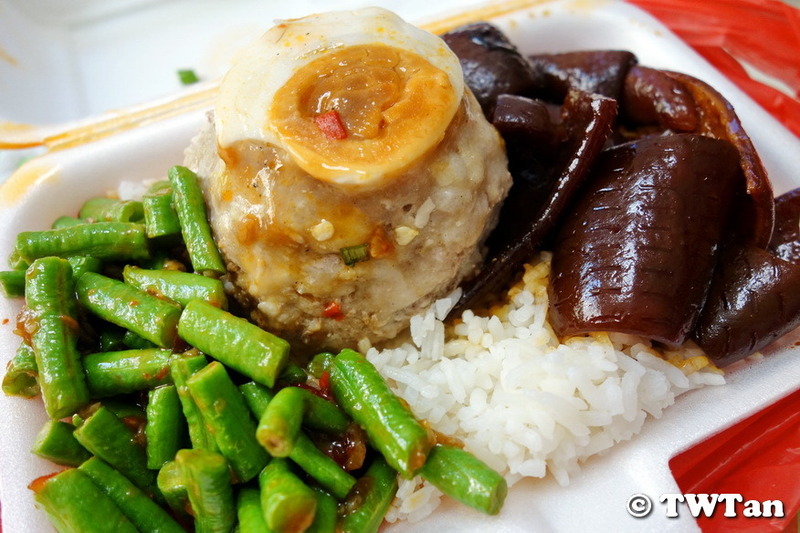 For today Lunch, mum bought back stir-fried long beans, steamed meat ball with salted egg and more braised pig’s skin. We are off for lunch after shopping for a replacement washing machine and ended up at Bei Sheng Seafood (北胜泰国小食) in Yishun. It was already near to their closing time of 2pm and the aircon dining area was off limit but they let us sit at the alfresco area. Made a quick order of four dishes that came in less than 10 minutes, minutes apart. 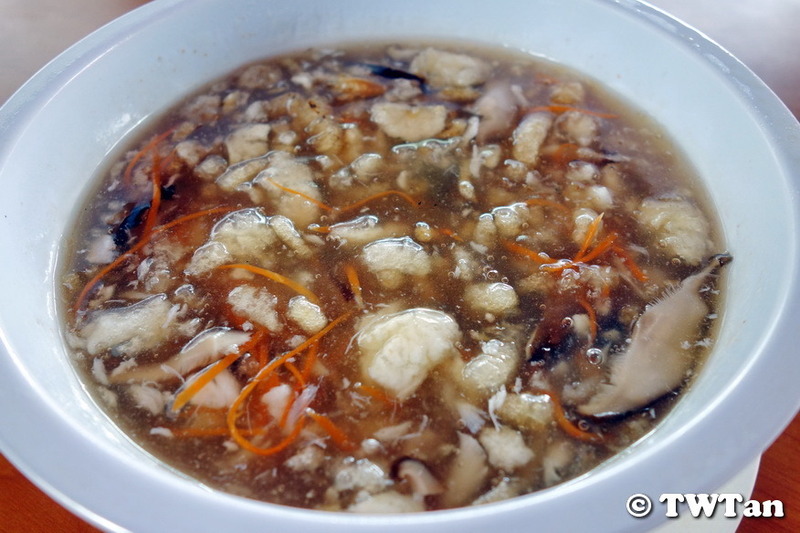 First up was Thai Fish Maw Soup (泰式鱼漂羹), which is choked full of the good stuff, the dried swim bladders of large fish. 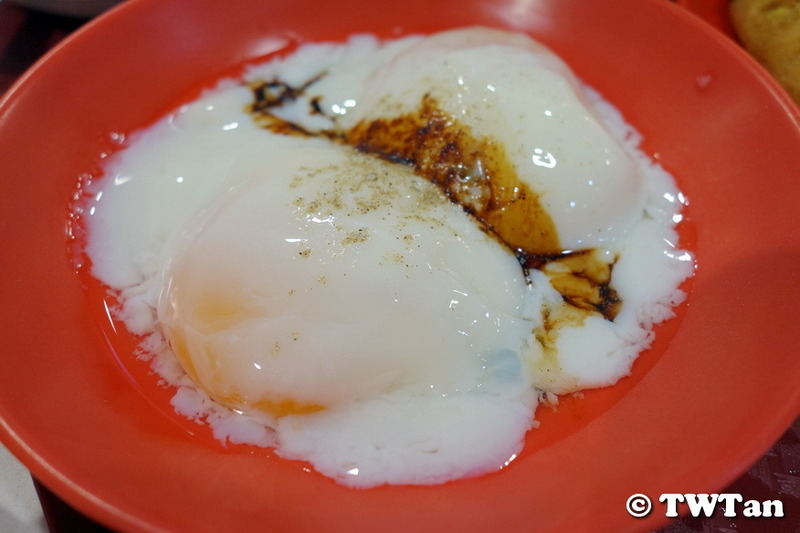 Kang Kong with Belachan (香炒辣空心菜) was so good. 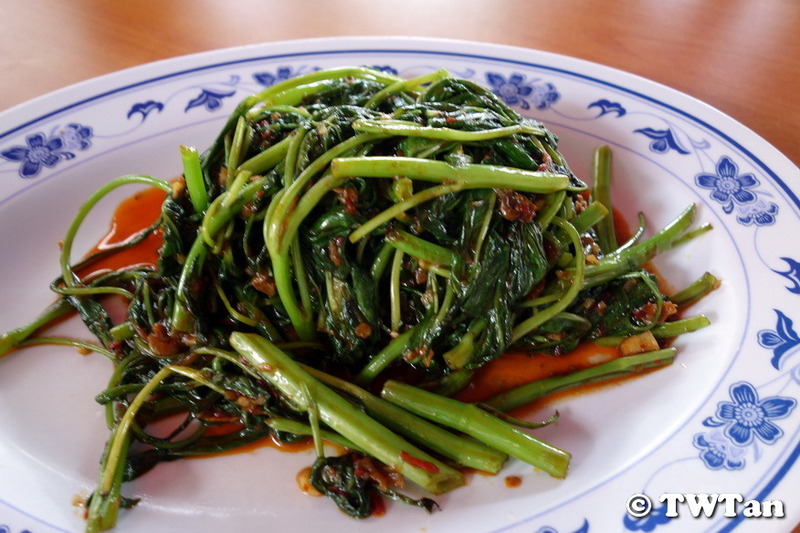 Here they used the younger shoots of the water morning glory or water spinach whichever you called it so it is less fibrous. Together with the fermented shrimp paste and chilli paste is given a quick stir-fry. Vegetables never smell so delicious! 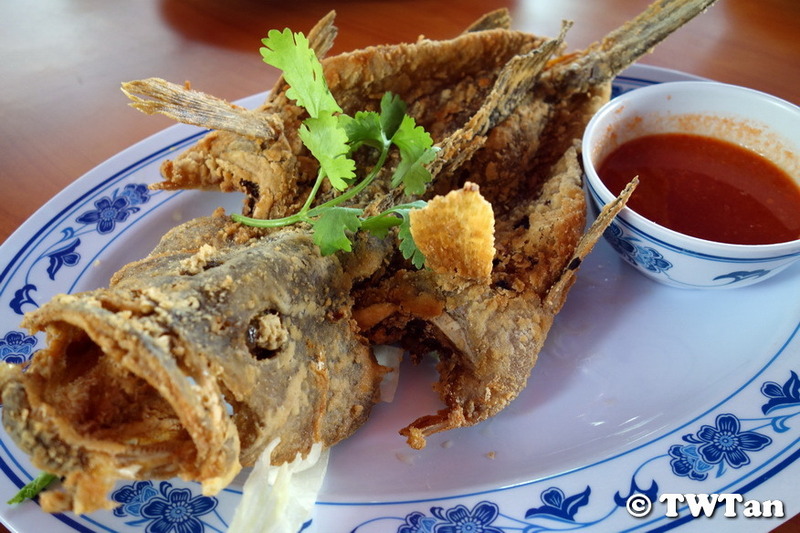 Next up, Thai Deep Fried Fish Delight (泰式三味鱼), a favorite for my family. 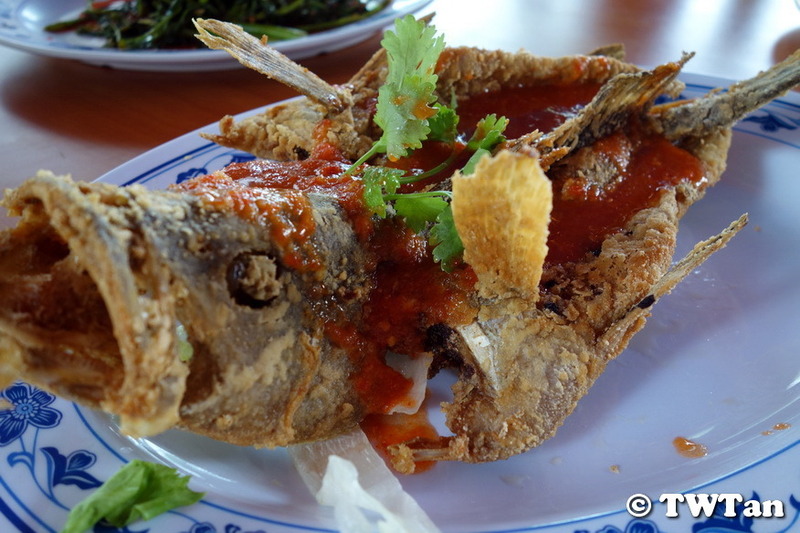 The grouper fish is deep-fried in very hot oil to get a nice crispy crust yet the flesh remained flaky and moist. The accompanying chilli sauce also played an important role, giving the fish an added dimension of tangy-sweet flavours with a little heat. 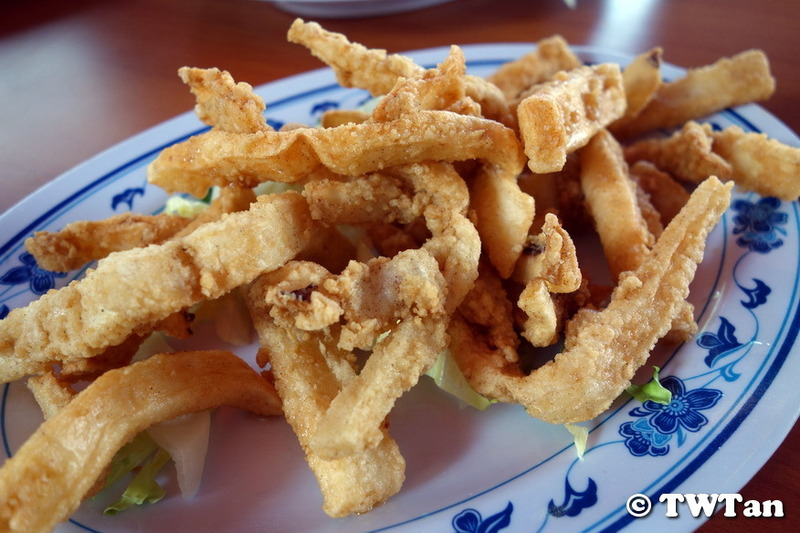 While the fish was good, the standard of the Deep Fried Cuttlefish (炸墨鱼) was lackluster. The thicker than usual cuts of cuttlefish was overcooked, rendering the texture toward rubbery although the seasonings and crispiness were spot on. Although the food is not Thai authentic but more localized to suit our taste buds, it’s very reasonably priced. Our meal of three seafood and one vegetable dishes only cost S$48 including the rice for four adults and a child. They used to have another branch located in Yishun Industrial Park but closed it last year. Don’t know what to eat for dinner so it is sushi again. 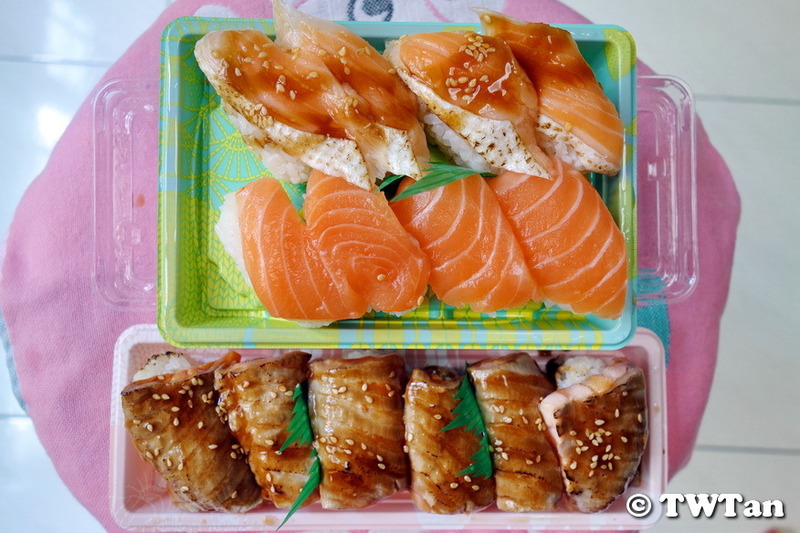 Got my favourite Aburi Salmon and Salmon Duo at S$4 per bento. Thick cuts of blowtorch seared, semi-cooked salmon brushed with sweet unagi sauce and a sprinkling of sesame seeds are just so good. 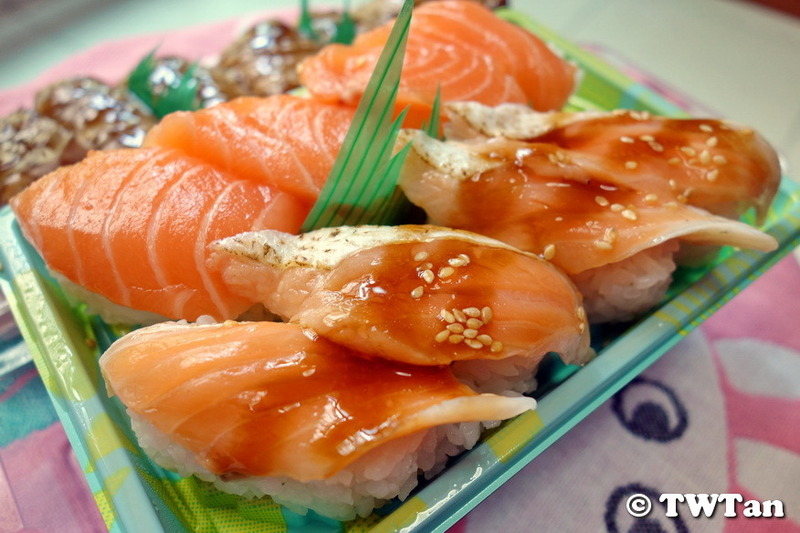 The other bento comes with four pieces each of salmon and salmon belly sushi which are “belly belly” yummy too. 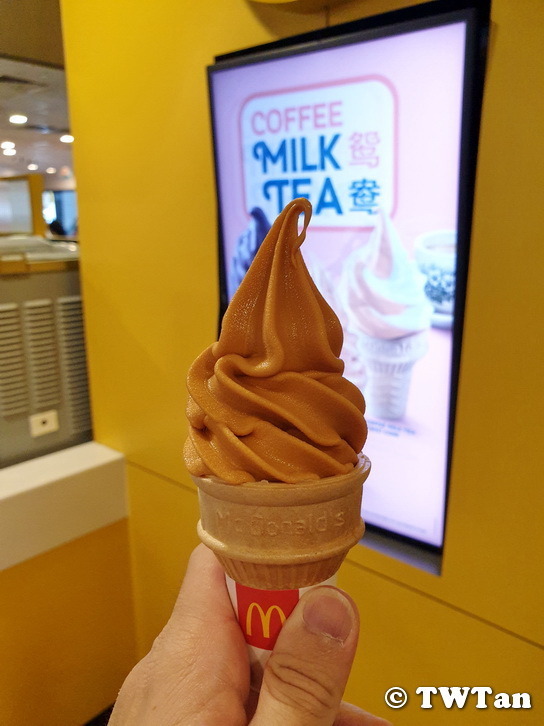 Many customers were queuing for McDonald’s new soft-serve ice cream flavour - Coffee Milk Tea Cone (鸳鸯) including me. The strong tea flavour came through loud and clear with a barely there coffee hint.